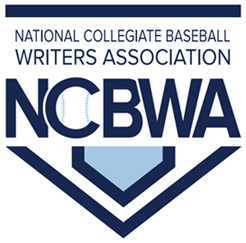 Black College Nines starts looking at this year’s freshman crop and will identify some of the top Historically Black College and University (HBCU) baseball impact freshmen who have arrived on campus and deserve recognition. Do they have what it takes to leap frog into the starting lineup? With the season starting, are these the best HBCU freshmen in the country? That’s impossible to say right now. This year’s freshman class is even more loaded than normal. How quickly will these freshmen adjust to college ball? If fall ball is any indication, they will become key additions to their baseball programs from first pitch. Chavez is a first team All-Miami Dade County player who has the chance to be very special behind the plate. The young signal caller can flat out hit and play defense. Jose turned down several NCAA Division I schools to join Florida Memorial University this year instead, so he could stay home. Chavez is part of a big crop of Dade County baseball talent. Word is this kid’s got an arm, putting base stealers on notice. Cooler provides Tuskegee the 4th or 5th starter it desperately needs to be competitive during mid week games and will be used out of the bullpen on weekends. In high school, Cooler finished 8-2 on the mound with a 0.51 earned average during his prep career. Holds school record for least amount of runs given up. Caleb is a projectable 6-foot-3, 200-pounder from Jacksonville Florida. He was selected as Florida Athletic Coaches Association District 5 Player of the Year for class 2A schools last year. Presently throws 88-89 mph and he could bump that up this spring. He showed some serious promise in the fall. He will be the number 3 weekend arm for head coach Mitch Hill’s Bulldogs. Lewis, at 6’3″, has great command of three pitches. Has athletic build on the mound. Controlled delivery, balanced with his pitches. Fastball sat 80-82 mph in high school. Has upped speed since the fall. Good command of his curveball. Definitely a gamer on the mound, will makes a difference for Coppin State this season. Lane could get an equally big boost from Morgan. The Stone Mountain, GA native stands 6′ 5″ and gives the Dragons a defensive anchor in the infield. Will hold down the middle of the lineup. Runs well for a big man, but is more notable for his power potential. He will be the most powerful bat in the lineup and will be a player to count on to score runs for the Dragons. Darrius is going to have an immediate impact for Voorhees and is expecting a lot of playing time at 3rd base. Head Coach JT Thomas states, “He has a different demeanor and approach towards the game and I believe it helps him a lot.” Stays focused, isn’t afraid to make a play in the field or pull the trigger at bat. He’s calm, quiet, and relaxed. Hard to not want that on your team”. Reyes is another prize catch for JSU head coach Omar Johnson. Fits in well with an athletic, talented team. His level swing and ability to drive the ball into the gaps will keep Reyes in the Tigers lineup. Has a sound approach at the plate and makes consistent hard contact. 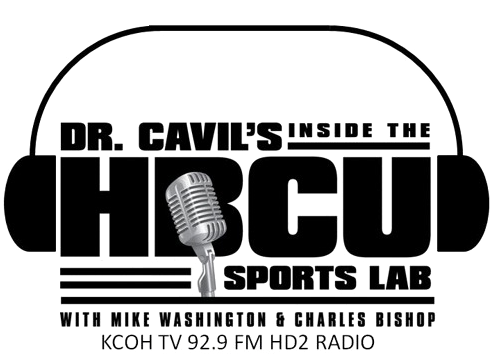 His play has a chance for the Tigers to be one of HBCUs best with balance, power and speed. Griego will answer a challenge to make an immediate impact as the Bulldogs have some pitching holes to fill. Expected to be counted on to display his fastball and flashing curveball for strikes. Jarvis Christian will have two brothers in the rotation joining his older brother, ace of the staff Emilio Griego. Phillip be a big part of the starting rotation and must mature quickly. O’Neal is another freshman that will see a ton of playing time throughout the entire season. Starts the season at 3rd, has the ability to play several positions across the infield and has an arm which can make any throw from anywhere on the diamond. The 6’0 and 205 pounder from Georgia is solid fundamentally on defense. O’Neal has a very consistent and powerful bat and will hold down the middle of the Dragons’ lineup. Stewart is a versatile young player who can play in the outfield and pitch. The crafty left-hander will look to serve as a reliever/setup man for the Wildcats in 2017, while also fighting for the starting job in the outfield. He is a disciplined player at the plate, adding a timely jump and awareness in the outfield. Was a 2016 high school player of the year. INF Jarmarcus Ezell – Tuskegee University, RHP Tyler Sessions – Edward Waters College, RHP David Padilla – Talladega College, 1B Caleb Stinchcomb – Selma University, INF/RHP Markus Garza – Wiley College, RHP Johnathan Allen – Concordia College (ALA), 3B Gweshaughn Richards – Huston Tillotson University, RHP/OF Brandon Chandler Bluefield State College, C Jameaze McNeal – Voorhees College. Looking forward to seeing what these young players will add to the game !!! Congrats to all these gifted and talented young men. Wishing them much success and asking God for favor in keeping them grounded.